Studiocanal have released a trailer and poster for their July 22nd release of the 2015 London Film Festival winner. 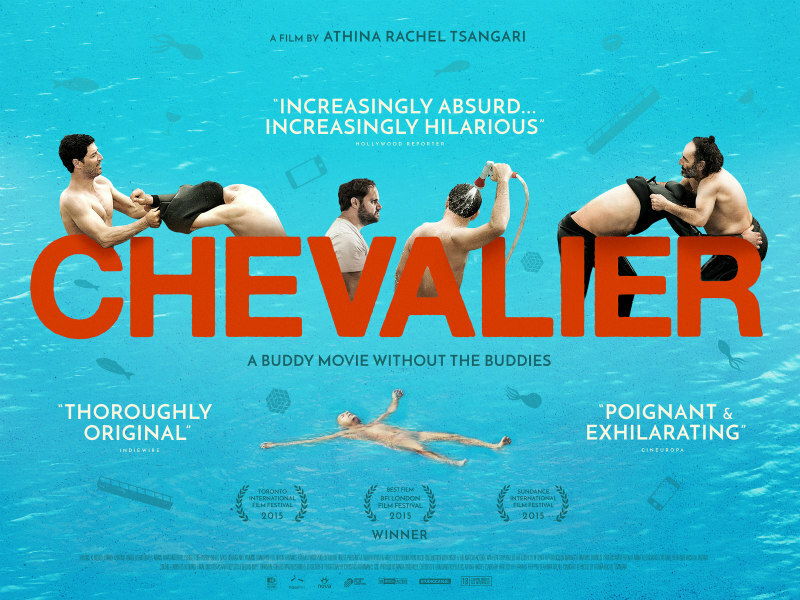 Winner of the Best Film Award at the London Film Festival 2015 and directed by Athina Rachel Tsangari (acclaimed for her film Attenberg in 2010), Chevalier is a new comedy satire exposing the bizarre lengths men will go to be ‘the best in general’, and will be released in UK cinemas on 22nd July. In the middle of the Aegean Sea, on a luxury yacht, six men on a fishing trip decide to play a game. During this game things will be compared. Things will be measured. Songs will be butchered, and blood will be tested. Friends will become rivals, and rivals will become hungry. But at the end of the voyage when the game is over, the man who wins will be the best man. And he will wear upon his littlest finger the victorious signet ring: the ‘Chevalier’.